An Indian Poet and Lyricist, Gilu Joseph, who shot to nationwide fame when she appeared on the cover of a Malayalam magazine, Grihalakshmi. She modeled for their ‘breastfeed freely’ campaign which attracted lots of controversies and even a legal case against her and the magazine itself. 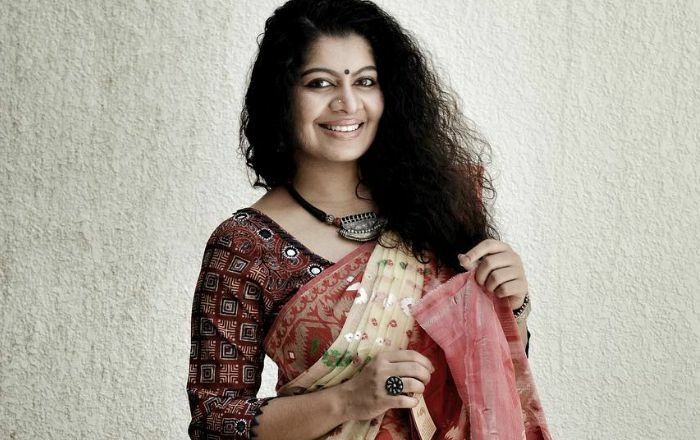 She has penned lyrics for over a dozen of Malayalam songs as well as acted in a few Malayalam films. Gilu Joseph was born on the 14th of March 1990, in Kumily, Kerala, India. She’s currently 29 years old. Siblings – She has two sisters. Gilu Joseph has kept her personal life discreet from media, thus making it tad difficult for us to say of any relation she has had in the past or in the present. In 2016, Gilu Joseph made her silver screen debut as a supporting actress in the film Jacobinte Swargarajyam alongside Nivin Pauly, Renji Panicker, Lakshmy Ramakrishnan, and Sreenath Bhasi. There’s not much known details about her brand endorsement deals. She was awarded the Palm Pusthakapura Akshara Thoolika award for her works in poetry. After graduating from high school, she moved to Dubai and started working as cabin crew with Fly Dubai. She has penned lyrics for many Malayalam film and her credits include 2_Penkuttikal, Sathya, C/O_Saira_Banu, and Lailaa_O_Lailaa. In March 2018, she appeared on the cover of Mathrubhumi Grihalakshmi, a Malayalam magazine, as a part of their ‘breastfeed freely’ campaign. She has posed breastfeeding a baby for the cover which sparked a major outrage on social media. This was because the magazine used a model for the cover rather than a real mother. Eventually, a case has been filed against the model and the magazine.